With these Reebok Women's Navy RB192 Soyay EH Skateboard Steel Toe Shoes, you can move and look like a rock star. They feature plenty of benefits, making them more than just your average pair of work shoes. This premium footwear is manufactured with a classical ... (see full details) (see specifications) #RBKRB192. With these Reebok Women's Navy RB192 Soyay EH Skateboard Steel Toe Shoes, you can move and look like a rock star. They feature plenty of benefits, making them more than just your average pair of work shoes. This premium footwear is manufactured with a classical skateboarding shoe style, with navy blue suede leather and a fresh, white trim. The rubber outsoles on these shoes provide traction and decent slip-resistance, so you can avoid the dreaded wipe-outs by staying in contact with the ground. The steel toes are a sure protection against impact since they meet or exceed ASTM F2413-05 standards for protective footwear, so all your little piggies can stay intact. Plus, they are made with non-corrosive steel so you don't have to worry about the toe caps breaking down or wearing out. An additional feature keeping you a little more safe in these navy blue shoes is the electrical hazard ratings they have met. They are made to protect those who come in contact with live circuits, wires or highly charged electrical equipment. 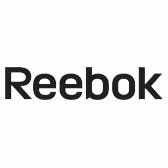 These Reebok shoes act as a secondary source of protection from electrical shock when in dry conditions.Inside these women's skateboard shoe you will find removable EVA cushion inserts and sponge rubber heel wedges that absorb impact, you can jump, walk, and run all day without any discomfort to show for it. Show off your skater girl style with these Reebok Navy RB192 Soyay EH Skateboard Steel Toe Women's Shoes. They'll keep you comfy, safe, and stylish! Order your pair online from the Working Person's Store today. If you liked the Converse C192, you will love these Reebok RB192 skateboard shoes. I love reebok shoes, however I was unsure how well they would be with the steel toe though I was very pleased with them. I was glad that I bought this they are so comfortable and dry very quickly. The steel toe doesn't effect their weight one bit. I can easily move around without having to worry about not being safe and have peace of mind knowing my feet are protected if anything where to happen while I'm working. I have a difficult time finding a work shoe that fits my wide foot. These work shoes are very comfortable to have to work and stand in all day long. They are very well made and withstand the usage I have them for. They are steel toed but are light weight. They are attractive enough to even wear them outside the work area. I would highly recommend them. I have also bought the black ones. I really like these composite Reebok's for work, light weight, comfort and protective. I can wear them for other uses than just "work" shoes. The insoles are comfortable when you walk a concrete dock all day and easily can be replaced when worn through. There is a nice wide toe box if you wear thicker socks for winter. Returned these shoes, only for their looks. Returned them to the store. No questions asked. Exchanged for a pair of Keen Steel Toe shoes and couldn't be happier with my choice. Have referred my friends and co-workers to this store. They will be getting my return business from now on. I buy at least one pair every year. Reebok Shoes: Women's Navy RB192 Soyay EH Skateboard Steel Toe Shoes is being added to your cart.